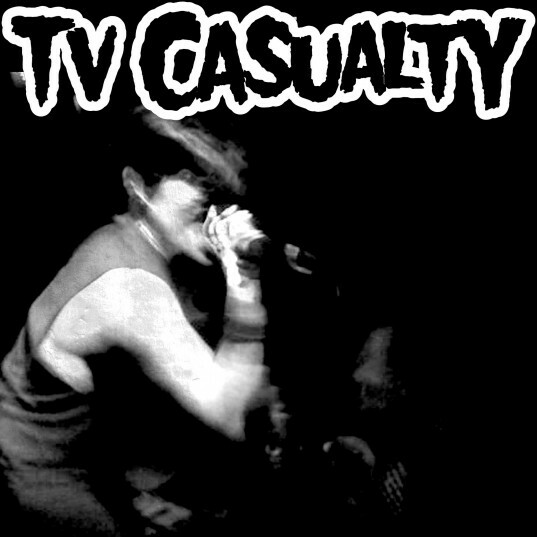 On October 31st*, Matador will release a charity 7″ from Philadelphia’s TV Casualty. This is the first recorded document to be released by a collective made up of Brian Sokel (Franklin, AM/FM), Andy Nelson (Ceremony, Paint It Black), Atom Goren (Atom and His Package) & Chris Wilson (Ted Leo & the Pharmacists). Over the past few years the group has played out in and around Philly for different charitable events, assembling as The Ramones (with Rodney Anonymous), Black Flag (with Dan Yemin) and Minor Threat (with Mike McKee). Here, Ted Leo joins the band as Glen Danzig, in what else but their take on The Misfits (watch some past performances here)! As part of Matador’s famed ELO- catalogue series (confused? consult the discography), this blood-red 7″ features covers of Children In Heat, Angelfuck, Teenagers From Mars, We Bite, Who Killed Marilyn, Some Kinda Hate. All proceeds collected on sales of this release will be donated on behalf of TV Casualty & Matador to The Attic Youth Center, Philadelphia’s only LGBTQ Youth Center. TV Casualty’s next live date is on October 28 at The Florida Theater as part of The Fest in Gainesville, Florida. Money collected at this show will go to Occupy Philadelphia. Pre-order the single at the Matador store now. *The band will have copies for sale on their 10/28 show in Gainesville and you should be able to find the 7″ in your local stores around then. You can also buy the tracks digitally starting 10/31.